Every small business, regardless of the industry it operates in, needs positive cash flow in order to stay afloat. Businesses need funds available to cover daily operational costs, taxes, supplies, materials, and payroll. 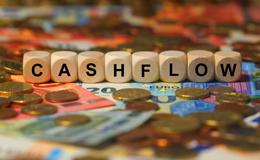 Decreasing cash flow is stressful, especially in the early years when money is naturally tight. Rather than panic, there are several things that small businesses can do to increase cash flow and keep the doors open and lights on. One of the quickest, easiest ways to increase your company's cash flow is to get rid of inventory and equipment that are just taking up space. Discontinued products, or excess inventory are the best place to start. Customers will appreciate the lower price, and it'll put a substantial amount of cash back in the coffers. Outdated, old, and unused equipment won't do you any good. In fact, it just gets in the way and holds you back. What's old to you, however, can be just what another business needs right now. Which is worse, having too much inventory on hand, or not enough? The answer is, both can be detrimental to your cash flow. As a small business owner, you need to keep control of your inventory so you stay in the sweet spot. Take the time to calculate your inventory turnover ratio (cost of goods sold divided by average inventory value) on a regular basis. Also avoid getting sucked into a so-called good deal by a supplier offering a giant discount. It's not worth the investment if you can't sell it. It might seem like shooting yourself in the foot to raise your prices, but the truth is that many small businesses simply undervalue their products. They believe that if they raise their prices too much their sales will decline and their cash flow troubles will become even worse. The reality is that higher price tags are often associated with a higher perceived value. Likewise, when the price is too low, the product, or service, may be perceived as lower quality and not worth the investment. Many small businesses offer their customers credit options, which is a great way to increase sales, but it can also be problematic. Slow paying customers can cause your cash flow to wane just when you need it most. Offer a small discount to those who pay their bill on time, or early. Even a single digit percentage off the price will entice most customers to pay quickly. They're also looking for ways to improve their cash flow and paying less for the products and services they need is an attractive option. Some customers can't pay their invoice on time, and others simply make a habit of being late. While it's great to be empathetic and understanding of your customer's troubles, you can't let them slide or you'll be taken advantage of. Implement a collections system that imposes fair penalties for late payers and strictly enforce it. The key here is to be fair, and consistent. If you let a customer pay late a few times without penalty, they'll take advantage of you and you'll end up losing money in the long run. You have a lot on your plate and it's easy to lose track of the status of accounts when you're tracking them manually. Automated accounting software will not only make it easier for you to track which accounts are past due, and by how much but it will also keep your billing consistent. Customers will learn to expect their bill on the same day every month, and will be more prone to paying on time. Plus, you'll eliminate human errors that cause accounts to be overlooked or missed. Any improvements you make to your business can lead to better cash flow. Regularly evaluate the way you're doing things and be willing to make changes. Everything is fair game, from how you allocate your business's funds to the way you're managing your customer's accounts. Running a business requires you to continually tweak your business practices to maximise your results and keep the cash flowing in a positive way. Operating a business can be both exciting and a bit scary at times, especially when the money doesn't seem to be flowing in the right direction. 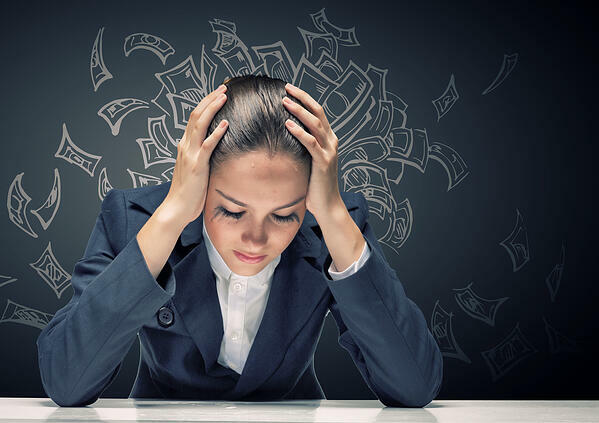 A smart small business owner won't just wring their hands and fret over the money, they'll take action immediately and eliminate the problem right away. It might be easy to point out that the customers are slow to pay, or that the competition is just too stiff, but the truth is, you're in charge and it's up to you to keep things running smoothly. That said, you don't have to go it alone, there's help available. Contact us at Eye on Books and we'll be happy to lend a hand and help you get your cash flow back on track, and keep it there.